Here is a brief recap of all of the awesome things your campers got to do this past week! ###Carnival! ! (http://impact2818.smugmug.com/photos/i-L8whNwx/0/L/i-L8whNwx-L.jpg) Although Mother Nature decided that we couldn't be outdoors on our final morning here at Lakewood, campers made the most of it by attending the Camp Lakewood Carnival! Today, campers learned about the concept of Godly Me. Therefore, God doesn't want us to be ashamed of who we are. Follow along by reading about the story of David returning the Ark of the Covenant to Israel, found in II Samuel 6:1-19. For breakfast this morning, campers chowed down on breakfast sandwiches! These sandwiches consisted of english muffins, eggs, cheese, and sausage! As a side item, campers were also given hash brown triangles! Tonight's worship was once again moved to the dining hall, but once again, the positive energy was remarkable! Campers sang "Jesus I Adore You", and "Lord I Lift Your Name on High". After learning about how anyone can make in impact in the lives of others, each cabin broke up into their own small groups, and discussed the lesson further. Sitting by the fire, and talking about God's love is an amazing experience, no matter what the venue is! Thankfully, Discovery Time will take place at Vesper Hill tomorrow morning! A classic Camp Lakewood tradition, messy games was an absolute success tonight! 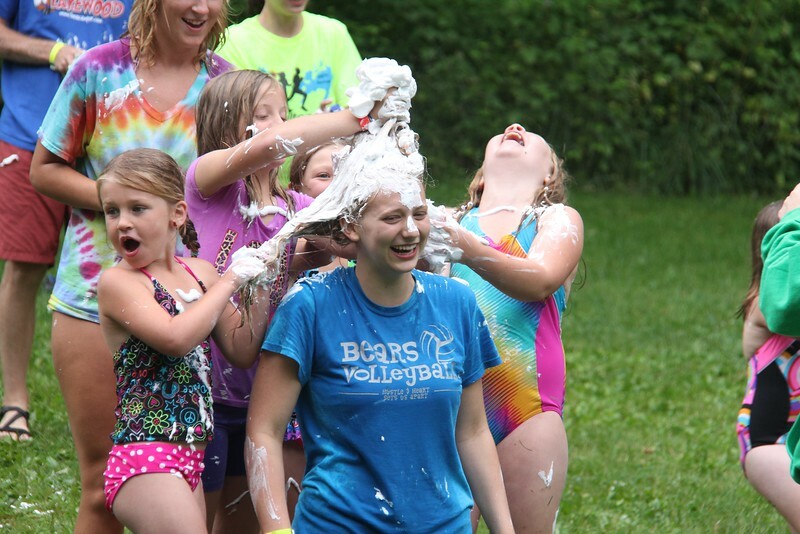 Campers got to participate in various activities, including covering their counselors in shaving cream, and giving them a new hairdo! For dinner tonight, Campers got to enjoy lasagna rollups, breadsticks, California blend vegetables, and chocolate cake for dessert! It was an absolute feast, and nobody left hungry! Check out this awesome camp prayer that your campers have learned this week! I'm sure you will recognize the beat! For lunch, campers got to enjoy tasty turkey wraps, potato chips, carrots, and apple sauce for dessert! The wraps were definitely a big hit! Today at Hoopla, campers got to partake in fun games, like the classic camp game "Wax Museum". Campers strike a funny pose, and freeze to avoid the night guards. Here is a camper who is trying his hardest to avoid moving! Check out more photos on the SmugMug gallery! 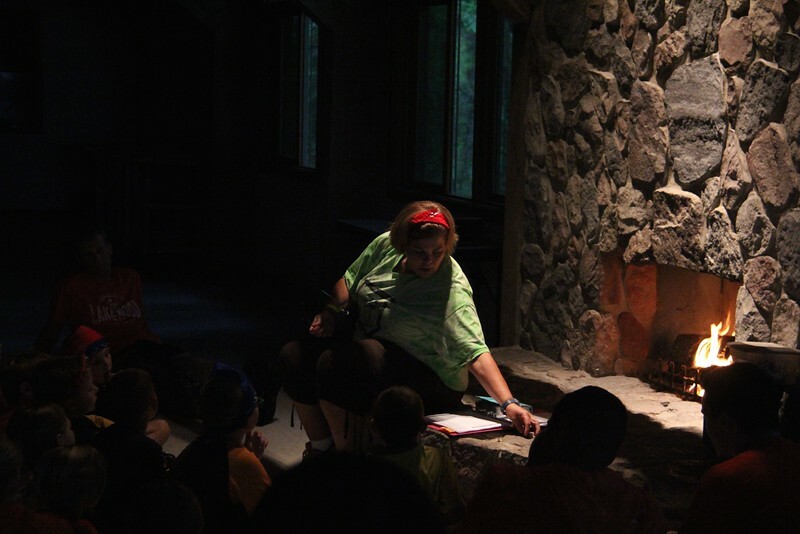 Today at Discovery Time, campers learned about Godly service, by hearing about how David played the harp for Saul. Follow along by reading 1 Samuel 16:14-23. For breakfast on this beautiful Friday morning, campers got to enjoy french toast sticks, crispy potatoes, and sausage links. Tonight's worship was moved indoors to the dining hall, but that didn't stop the amazing energy of the Holy Spirit from creating an awesome atmosphere! The songs that campers sang included "How I Adore You", and "Hallelujah". Director Penny talked about how even though you may be young and small, you can still make an impact on the world. One of the examples was that of Alexandra "Alex" Scott, and how she used her lemonade stand to raise over five million dollars for cancer research. The same can be said for David, who although he was smaller than the rest of his brothers, God chose him to become the next king of Israel. After learning about "Godly Plans", these campers all seem ready to make an impact in the lives of others! 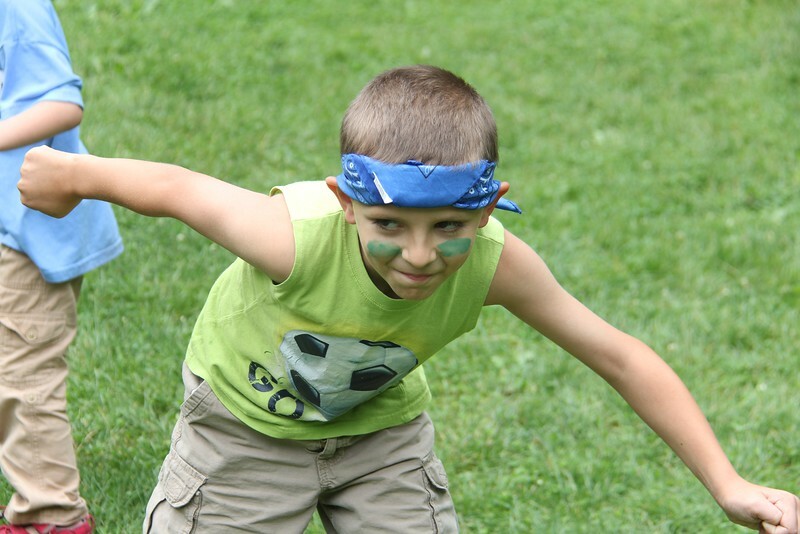 After dinner, campers got the opportunity to play a selection of big group games in pine meadow. One of the most popular games, was the classic "What Time is it Mr. Fox?". After dealing with a bit of rain late in the afternoon, campers got to enjoy a warm cooked meal consisting of beef & noodles, mashed potatoes, and green beans. For dessert, everyone enjoyed a warm brownie! 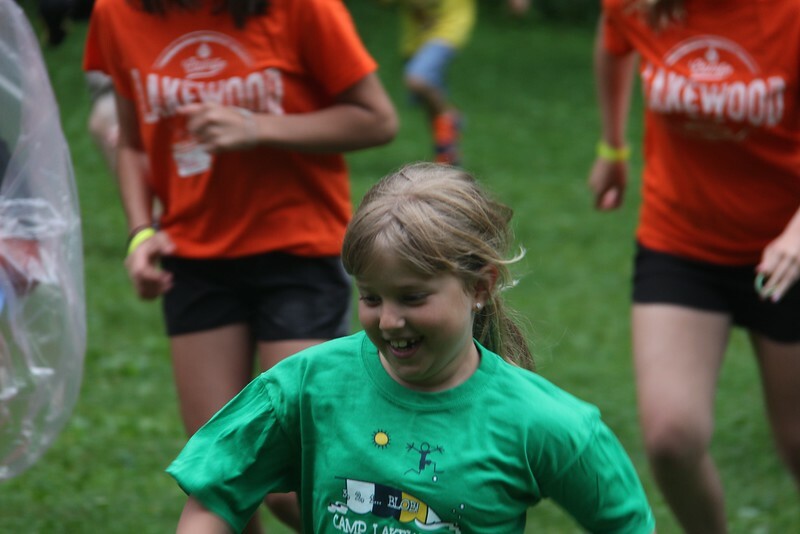 Check out some of your campers singing and dancing to one of Lakewood's favorite camp songs "A Milk Shake"! For lunch today, campers got to enjoy chicken tenders, potato wedges, corn, and peaches! It was quite the meal, and it will certainly serve as great energy for an afternoon of fun activities!